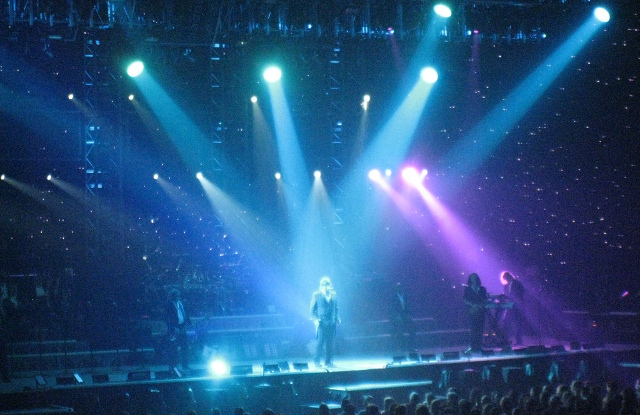 The band Trans Siberian Orchestra perform in Greensboro, NC. Credit: Razvan Orendovici. About a year ago News & Record in Greensboro, NC, cut back on its arts coverage. Concurrently, nonprofit ArtsGreensboro had a yearly budget of near $2.8 million to support and promote the arts and local events. The News & Record and ArtsGreensboro were both in want of reinvigorated arts coverage for the area, so a $15,000 deal was struck for News & Record to cover 70 arts stories a year, half of which would be reviews of arts events. That first year ended last month and now News & Record and ArtsGreensboro have agreed to continue the arrangement for another year. Jeff Gauger, editor and publisher of the News & Record is calling the partnership a success. Gauger said newspapers regularly face conflict-of-interest battles with advertisers on a larger scale and that the agreed-upon independence of the newspaper was “not once” challenged by the arts organization. News & Record isn’t the only newspaper to take nonprofit or foundation funding. In 2012 LA Times set precedent with a $2 million grant from Ford Foundation to cover immigration, according to CJR. A few months later, Washington Post received $500,000 from Ford Foundation to expand its government-accountability coverage. Unlike Ford Foundation, whose focus is broad and national, ArtsGreensboro is a major supporter of the arts in the city, critics of the deal said it may lead to an inevitable conflict of interest. Former News & Record editor John Robinson called the deal troubling in his blog Media, Disrupted last year and questioned whether “the arts organization… can pay for play.” Today, Robinson said, questions persist. The crowdfunding model for newspapers to follow hasn’t been worked out yet and there are risks and unanswered questions, but instead of ArtsGreensboro money, Robinson suggested crowdfunding. Crowdfunding isn’t uncommon or controversial among new media startups but, as Robinson notes and Through the Cracks has come to understand in initial research, there may not be a single crowdfunding campaign that started inside the newsroom of a metro daily newspaper in America. Mizell Stewart, Managing Director of Content for the Journal Media Group, a company that owns more than a dozen metro daily newspapers from Wisconsin to Florida, told us there’s a reluctance to distract readers with crowdfunding when they’d much rather them pay a monthly subscription. Last summer Steve Buttry, a visiting scholar at Louisiana State University, was cautiously optimistic about the deal. Local competitor Triad City Beat raised more than $11,000 on Kickstarter last fall and held their own crowdfunding campaign and were also critical of the ArtsGreensboro partnership. “There was a time that newspapers wouldn’t allow subjects to pay for coverage of themselves. It was the kind of thing that could get you kicked out of press associations and other professional groups,” editor-in-chief Brian Clary said in an article last year. According to Kaitlin Smith, marketing and communications coordinator for ArtsGreensboro, the partnership helped jumpstart dwindling arts coverage, a much needed win-win for both the News & Record and the arts community. Newspaper reviews of arts events “had been missing from the newspaper since 2007,” she said. Thomas Philion, president and CEO of ArtsGreensboro, described this dilemma a year ago in a guest column in the News & Record. He wrote that arts coverage has been shrinking across America and the partnership is mutually beneficial with the public being the biggest winner. “How many times have you missed a great show or performance here in Greensboro simply because you didn’t hear how wonderful it was, or worse, didn’t hear about it at all?” Philion wrote. 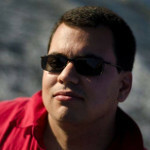 Editor Khari Johnson contributed to this report.